RAREST OPPORTUNITY! STEP BACK into HISTORIC TUSCALOOSA! NEW ROOF 2018! EASY WALKING/BIKING/DRIVING DISTANCE to the STRIP! UA CAMPUS! BRYANT DENNEY STADIUM! DOWNTOWN ENTERTAINMENT DISTRICT! AMPHITHEATER! RIVERWALK! FARMER’S MARKET! PUBLIC LIBRARY! CITY HALL! COURTHOUSE! LIVE THE COTTAGE LIFESTYLE w/FORMALS/NOOKS/HIGH CEILINGS! ENJOY MODERN KITCHEN/LAUNDRY/BATHS! ENTERTAIN W/STYLE of DINNER PARTIES OF DAYS PAST! WALK on HEART PINE FLOORS! 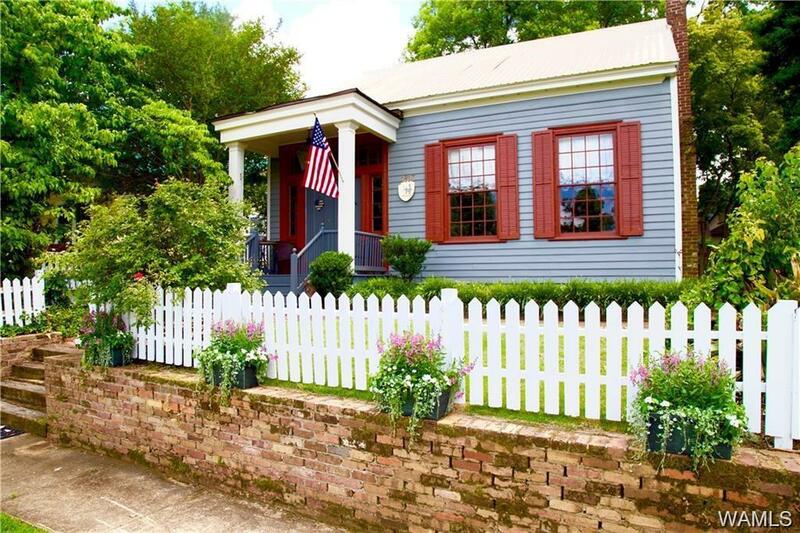 TEND a SOUTHERN GARDEN to complement BRICK WALKS/PICKETT FENCES! MATCHING DETACHED WORKSHOP for STORAGE of GARDEN TOOLS! PRESERVE HISTORIC FEATURES like ORIGINAL FRONT DOOR w/TWIST & RING DOORBELL/ANTIQUE LOCK W/SKELETON KEY/HARDWOOD FLOORS! UPDATED WIRING/PLUMBING! NEW 4 TON AC 2014! NEW CARPET 2017! AS IS W/HOME WARRANTY provided! EXPECT TO FALL IN LOVE! Directions: 3rd Street Is At The Top Of The Hill Coming Up Queen City Avenue From The Library Off Jack Warner Parkway. Home Is At The End Of The Street. Enter Side Door.